Home › Personal Injury › What are personal injury protection (PIP) claims? 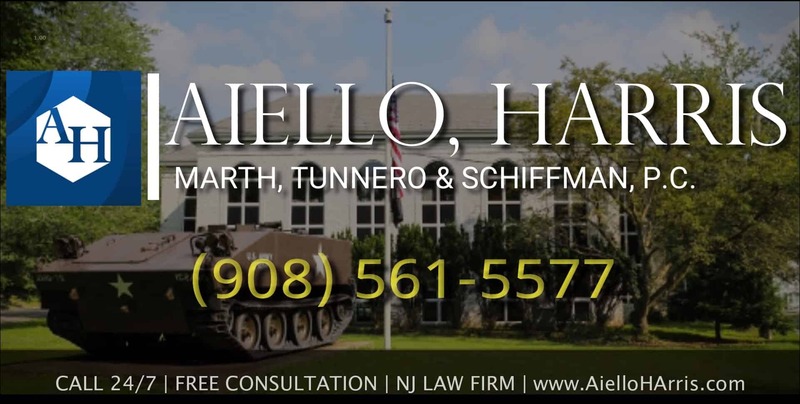 Because New Jersey is a “no fault” state, medical bills for injuries sustained in an automobile accident are paid by the insured party’s own automobile insurance carrier under the personal injury protection or “PIP” provisions of the auto policy. N.J.S.A. 39:6A-1.1 et seq. A claim for personal injury protection benefits, commonly known as “PIP” claim, can be initiated against a client’s auto carrier for medical treatment that has not been authorized or for which payment has been denied. The type and duration of medical services covered by PIP is governed both by the terms of the particular policy and by State law. Each policy contains a PIP dollar limit selected by the insured at the time he or she purchases the policy. 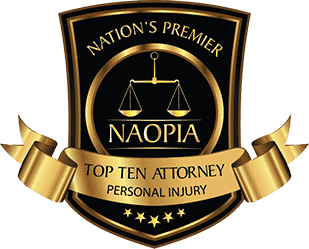 In addition, for policies purchased or renewed on or after March 22, 1999 and thus subject to AICRA, the course of medical treatment, particularly for soft-tissue neck and back injuries, is closely regulated by the provisions of N.J.S.A. 39:6A-1 et seq., the Automobile Insurance Cost Reduction Act of 1998 (the Act), and N.J.A.C. 11:3-3.1 et seq., the Act’s implementing regulations. In enacting AICRA, the Legislature sought to remedy a perceived abuse of the personal injury protection (PIP) benefits mandated under this State’s no-fault laws. 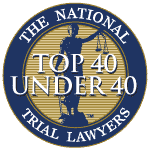 Specifically, the Legislature found that since the 1988 enactment of the verbal threshold, “[PIP] benefits are being overutilized for the purpose of gaining standing to sue for pain and suffering.” N.J.S.A. 39:6A-1.1. The Legislature found that certain measures were warranted in order to combat this perceived overutilization of benefits for the purpose of vaulting the tort threshold and thus enforce the “restriction on the right of persons who have non-permanent or non-serious injuries to sue for pain and suffering.” Id. 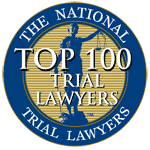 The primary means chosen by the Legislature to enforce the tort threshold was to control, both procedurally and substantively, the course of treatment for victims of automobile accidents. Under both the basic and the standard policy, the Act restricts an insured’s access to medical care by requiring that medical treatments, diagnostic tests and services provided by the policy “shall be rendered in accordance with commonly accepted protocols and [commonly accepted] professional standards and practices” for treatment of the relevant injury. N.J.S.A. 39:6A-3.1a; N.J.S.A. 39:6A-4a. Commonly accepted protocols and professional standards and practices, for purposes of the statute, are either “those recognized by national standard setting organizations, national or state professional organizations of the same discipline as the treating provider,” or those designated by the Commissioner of Banking and Insurance in consultation with the professional licensing boards. Id. Deviation from the standard protocols for treatment and/or administration of diagnostic tests may be allowed only when warranted “by reason of medical necessity.” Id. Regulations set forth at N.J.A.C. 11:3-4.1 et seq. Identify reimbursable PIP medical expense benefits for purposes of either a standard or a basic policy. The PIP regulations apply to “those policies issued or renewed on or after March 22, 1999.” N.J.A.C. 11:3-4.1(c). does not involve unnecessary diagnostic testing. The physician’s determination to administer any of the above tests is subject to decision point review, N.J.A.C. 11:3-4.5(d), with the exception of diagnostic tests rendered in the course of emergency care. N.J.A.C. 11:3-4.5(e). Deviation from the care paths for the identified injuries is subject to close scrutiny and must be supported by documentation of special circumstances. New Jersey Coalition of Health Care Professions v. New Jersey Dept. of Banking & Ins., 323 N.J. Super. 207 (App. Div. ), certif. denied, 162 N.J. 485 (1999). The care paths do not apply, however, to emergency treatment or to treatment rendered in the ten days immediately following the accident. See N.J.A.C. 11:3-4.6(d) (providing that the care paths do not apply to treatment administered during emergency care); Bulletin No: 99-05 from Jaynee LaVecchia, Commissioner of Banking and Insurance re: Decision Point Review and Precertification Filings, March 17, 1999 (directing that precertification and decision point review plans clearly state that treatment in the first ten days and emergency care do not require decision point review or precertification). 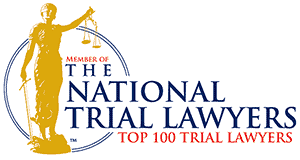 All policies must provide procedures for “decision point review.” “Decision points” are “those junctures in the treatment of identified injuries where a decision must be made about the continuation or choice of further treatment.” N.J.A.C. 11:3-4.2. A decision point in the care paths is represented by a hexagon or by reference to a second opinion, referral for a second independent consultative medical opinion, or development of a treatment plan or mandatory case management. N.J.A.C. 11:3-4.6(b). In addition, a determination to administer any of the diagnostic tests listed in N.J.A.C. 11:3-4.5(b) is subject to decision point review. N.J.A.C. 11:3-4.2. A qualified decision point review plan must establish procedures for: the injured person to provide prior notice to the insurer; the prompt review and disposition of the request by the insurer; and, where necessary, the scheduling of a physical examination to resolve the claim. N.J.A.C. 11:3-4.7(b). The insurer must notify the injured party or his designee that a physical examination will be required as part of the decision point review. Id. Where an Independent Medical Examination will be required, it must be scheduled within seven calendar days of the receipt of the request for treatment unless the injured person consents to an extension. N.J.A.C. 11:4-7(b)(2)(ii). The examination must be “at a location reasonably convenient to the injured person.” Id. An injured party must cooperate with the review by providing the IME with medical records before the scheduled examination. The insurer must advise the injured person or his designee “ whether reimbursement is authorized as promptly as possible but in no case later than three days after the examination.” N.J.A.C. 11:3-4.7(2)(vi). A policy may provide that an injured party’s failure to provide notice, to provide medical records, or to appear for a medical examination as required by the policy may result in an additional co-payment not to exceed 50% of the eligible charge, even where the treatment is found to be medically necessary. N.J.A.C. 11:3-4.7(3). The policy (basic or standard) may require precertification of treatment of diagnostic testing, except that no precertification may be required in the first ten days following the accident. N.J.S.A. 39:6A-3a; N.J.S.A. 39:6A-4a, N.J.A.C. 11:3-4.8(b)(c). A precertification plan may include provisions requiring an injured person to obtain durable medical equipment directly from the insurer or designee. N.J.A.C. 11:3-4.8(g). Precertification and decision point review each require affirmative action by the insurer to deny based on the determination of a physician. Bulletin No: 99-05, supra (citing N.J.A.C. 11:3-4.7(b) and N.J.A.C. 11:3-4.8(d)). “Therefore, a failure to deny in accordance with that rule means that the treatment or test may proceed until such time as a denial based on the determination of a physician is communicated by the insurer. The [policy] should affirmatively state that if the insurer does not respond within the stated time-frame, the provider may proceed with the treatment or test.” Id. Under either a basic or standard policy, assignment of medical expense benefits may only be made to a treating health care provider. N.J.S.A. 39:6A-3.1a; N.J.S.A.39:6A-4a. The policy may place further restrictions on the assignment of medical expense benefits that are “consistent with the efficient administration of the coverage.” N.J.A.C. 11:3-4.9. Each insurer must offer a standard $250 deductible and 20% copayment on medical expense benefits between $250 and $5000, N.J.A.C. 11:3-4.4(a), with an option to select higher deductibles at appropriately reduced premiums. N.J.A.C. 11:3-4.4(b). If elected, a higher deductible applies only to the named insured and resident immediate family members. N.J.A.C. 11:3-4.4(b)(1). All deductibles and copays apply on a per person, per accident basis. N.J.A.C. 11:4-4(c). Disputes regarding the recovery of medical expense or other PIP benefits under either a basic or a standard policy may be submitted, at the request of the injured person, the insurer, or a treating health care provider to dispute resolution before a “dispute resolution professional” (DRP). N.J.S.A. 39.6A-5.1a-c; N.J.A.C. 11:3-5.2. All decisions by a DRP are binding. N.J.S.A. 39.6A-5.1c. Amounts claimed for PIP income continuation benefits; essential services benefits, death benefits and funeral expense benefits. Disputes regarding medical necessity may be referred, at the option of the DRP or either part, to a medical review organization (MRO). N.J.S.A. 39:6A-5.1d. The MRO may request the injured party to submit to an independent medical examination. N.J.A.C. 11:3-5.6(c)(3). the medical necessity of repeated procedures or treatment. The MRO’s determination shall be presumed correct by the DRP, which presumption may be rebutted by a preponderance of the evidence. N.J.S.A. 39:6A-5.1d. The DRP’s decision must be in writing and set forth the issues in dispute, the MRO’s findings, if any, the DRP’s findings of fact and his or her legal conclusions. N.J.A.C. 11:3-5.6(d). The award shall apportion of the costs of the proceedings without regard to who initiated it “in a reasonable and equitable manner consistent with the resolution of the issues in dispute.” Id. The award may include attorney’s fees to a successful claimant “in an amount consonant with the award.” Id. 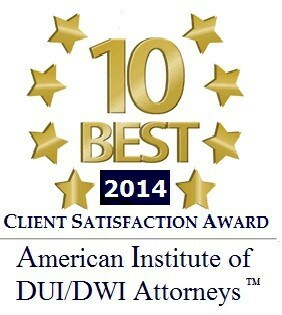 Call us today, or contact us online, we’re standing by to assist you at (908) 561-5577. Previous PostWhat are uninsured Motorists (UM) and Underinsured Motorists (UIM) Claims?Next PostWhat is the tort threshold?